Prepare for your next cold-weather getaway. Courtesy of Locations Mahalarp Teeradechyothin/500px. There’s something quite chic about Martinique (a Windward Island under the French flag), but its savoir-faire doesn’t clunk you over the head like St. Barts. 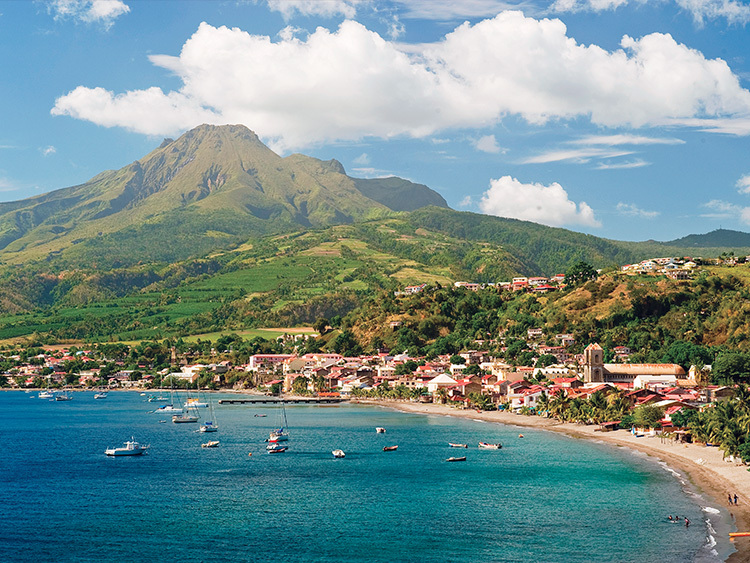 Martinique’s rarified texture is homespun, and it attracts visitors who seek to tap into its Caribbean vitality. In fact, the island often puts its cultural assets ahead of the prerequisite sand and sun. 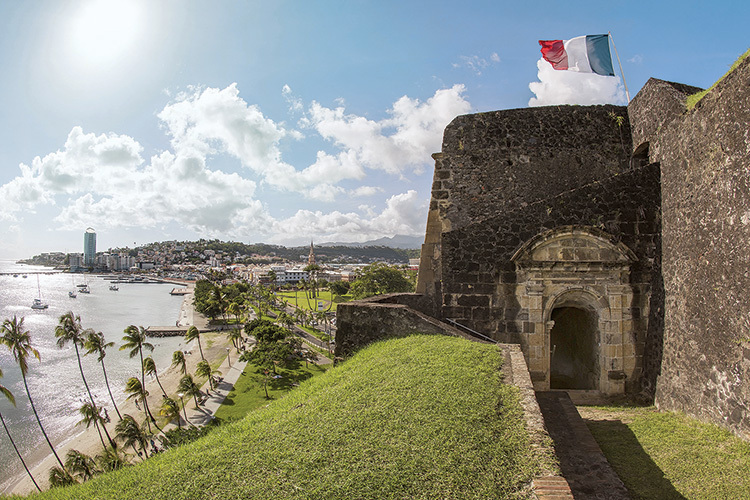 The island’s capital, Fort-de-France, which seems wholly unconcerned with tourists, is the perfect backdrop for an afternoon of exploration. Weathered art deco buildings and a crumbling library stocked with battered books elicit a Havana-esque vibe, while, on the other side of town, the sizable Grand Marché Couvert (Covered Market) hosts an assembly of small-business owners hawking flavored rum and madras. Stone silos dot the suburbs and the soaring mountains beyond, remnants of a once-booming, slavery-based sugar trade that formerly swept across the Caribbean. Long ago, Martinique established itself as the veritable Champagne of rum regions, eventually earning the honor of an Appellation d’Origine Contrôlée. Instead of the runoff — or molasses — from the sugarcane-refining process, the plantations of Martinique provide cane juice for distillation, which creates a swiggable beverage as opposed to a cocktail mixer. Even today, the island continues to embrace its rum roots with several notable distilleries, each of them still exporting premium spirits worldwide. Saint James (SaintJames-Rum.com) is our favorite, housed in a historical plantation-style edifice befitting Gone With the Wind. Tastings are available in the entry hall, and abbreviated visits around the property detail the elaborate history of the Caribbean rum trade in a low-key fashion. Other former plantations have transformed themselves into cultural attractions as well, like Habitation Céron (Habitation-Ceron.com) high in the northwest hills. 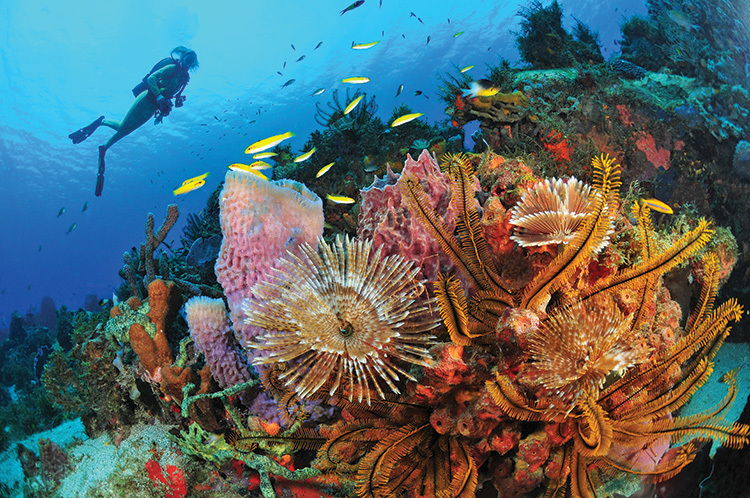 Although its former glory lies mostly in ruin, there’s a makeshift restaurant serving delectable prix fixe lunches with local favorites (like crayfish and accra fritters), as well as a wild garden to stroll through that’s rumored to have one of the oldest trees in the Caribbean (over 200 years). A promise of new boutique digs wafts through the trade winds, but for now, the most upmarket option is the Relais and Chateaux stronghold Cap Est (CapEst.com), a favorite among vacationing French celebrities like funnyman Jamel Debbouze. Positioned on the island’s eponymous eastern cape, the hotel sits among some of Martinique’s most expensive properties: the private estates of the békés, the French Caribbean’s vestigial aristocrats. The hotel itself embraces aristocratic outdoor living with breezy, post-and-lintel structures throughout, and rooms — many with outdoor showers and plunge pools — that feel weathered in the most charming way.